It took nearly six months, but the Borough finally decided to let us in on their quarter-million-dollar secret: A park no one asked for. On Wednesday, we received like many of you the official email from the Borough announcing this transaction. As we know now, the ink has dried on the purchase. The two plots now belong to the Borough, or more appropriately, to you and us whether we want it or not. The email essentially says this: It was great opportunity. We had to move fast, and we didn’t tell you about this because you would have said “No.” If you have kids, you’ve heard this one before. While the unsigned eblast defends Council’s actions as prudent, Borough Hall still filled with disgruntled residents last Monday night who thought otherwise. After an extended period of public comment, Council President Deborra Sines-Pancoe responded with a prepared statement that served as a rough draft for what the Borough issued and posted on Wednesday. We appreciate the fact that an “opportunity” seemed to present itself, but a park represents a serious commitment of time and resources over a long period of time — especially for a small town such as ours. Despite the presumed benefits of the Council’s expediency, they voted to purchase this property without a plan, public approval, or adequate public disclosure. We indeed welcome the news that the Council found itself flush with funds saved from a loan renegotiation, but that was not their money to spend. As taxpayers, we have every right to feel like the Borough dipped into our pockets. Saved funds are not automatically discretionary. Ms. Sines-Pancoe also justified this action because the Jenkintown 2035 Plan includes a call, albeit well down the list of priorities, for more greenspace in the Borough. Curiously, she dismissed the school playground at the school as School District property, suggesting that the Borough must step up with its own land acquisition. It’s all community property. In the eblast sent on Wednesday, the Borough asserts that it followed all guidelines spelled out by the state’s “Sunshine Laws.” Looking over the timeline of these events, the Borough did post public notices in the Intelligencer’s Legal Notices section the day before each hearing. In other words, the Borough included none of this business into the regularly scheduled Borough committee or Council agendas. This begs us to ask the reader: Do you read the legal notices in the paper? How many of you actually get the paper any longer? According to Borough records, two special public meetings were held. On September 8, it staged a Special Council Meeting. The agenda for this meeting was created less than one hour before the meeting. We don’t know exactly when the Borough posted it on the website. The document metadata that reveals an agenda created less than an hour before the September 8 meeting. On November 9, the Borough held a Public Budget Workshop an hour before the regularly scheduled Public Works and Public Safety committee meetings. As this link to the Internet Archive shows, the Borough had not announced the meeting even as late as the previous October 21st. By the letter of the law, yes, the Borough has covered itself here. However, for those of us who live in the real world, this process was anything but public. Clearly, for whatever reason, Council and Ms. Sines-Pancoe slipped this transaction towards approval in the most unscrupulous manner possible without actually breaking the law. This is not acting in good faith. Ms. Sines-Pancoe’s made a specious claim that they had to conduct this business during executive session — which legally excludes the public — because this is a real estate manner. The Borough did not go out seeking to buy land or enter into any negotiation. The owner of the property came to the Borough and effectively gave it the right of first refusal, with a price reportedly well under market value. 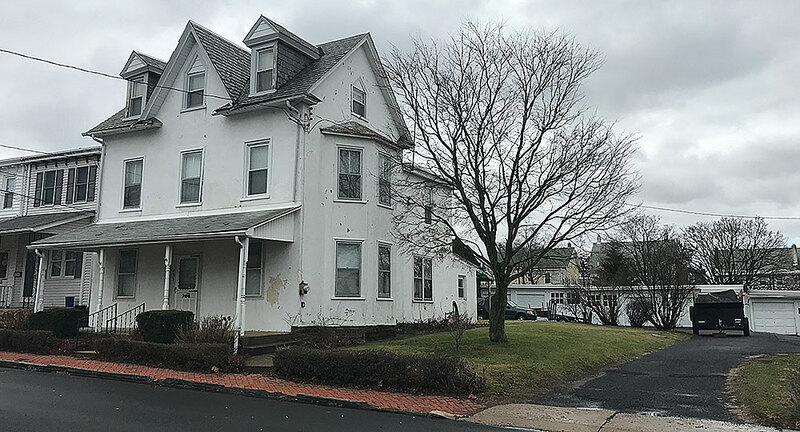 In other words, the Borough had no competition for this property, and so should have broadly notified the community via email immediately upon the presentation of this offer and taken input before voting on the purchase. The meeting minutes from both special meetings reflect that there was no public comment. If we have misinterpreted the rules for executive sessions, then the Borough should have dismissed the offer out of hand due to the framework that guides its actions. It would not matter if the land was bequeathed to the Borough. It represents a major commitment and thus needs to be presented to the residents before approval. Early ideas include a rain garden, community garden, or open play space. No decisions regarding the use of the property have been made. And yes, despite what the Council now says, our sources tell us that a dog park was considered. In other words, the Borough does not have a plan for this commitment. Any urban planner will tell you that creating park space involves far more than just acquiring the land. Budgets for build-out, upkeep, and other unforeseen costs require careful, long-range thinking. This too has not happened. So instead of taking input and planning for the revival of the Jenkintown downtown, Borough hall will distract itself with this new obligation. Perhaps we could debate the need for this park, but for us, that has no relevance. The Borough acted in bad faith to acquire something with our money that no one had asked for. It is our opinion that the properties should immediately be put back on the market, sold to the highest bidder, and the profits returned to the taxpayers. Further, the Council must address its transparency problem. Public notices for any special meeting should go out by email and posted on the Borough website at least three days before they take place. In a town as tiny as ours, they might also consider knocking on a few doors as well. A twelve-member council could probably cover our entire community in a weekend.